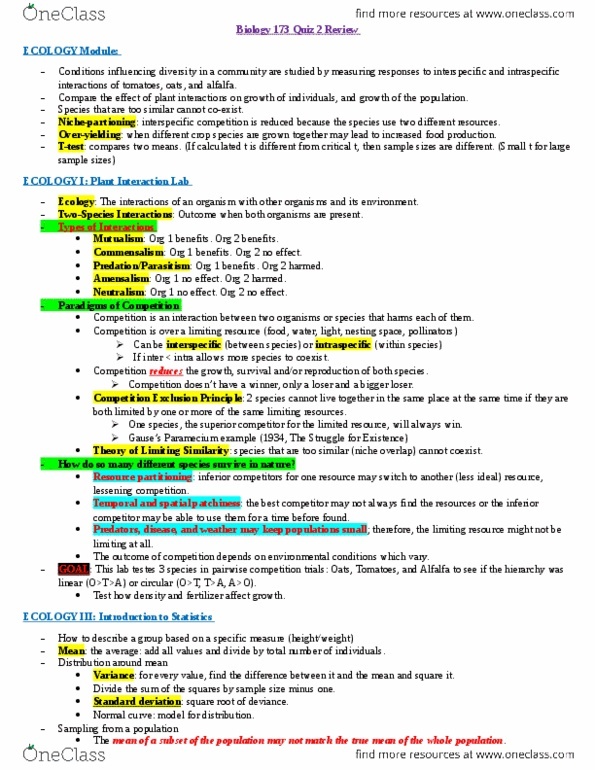 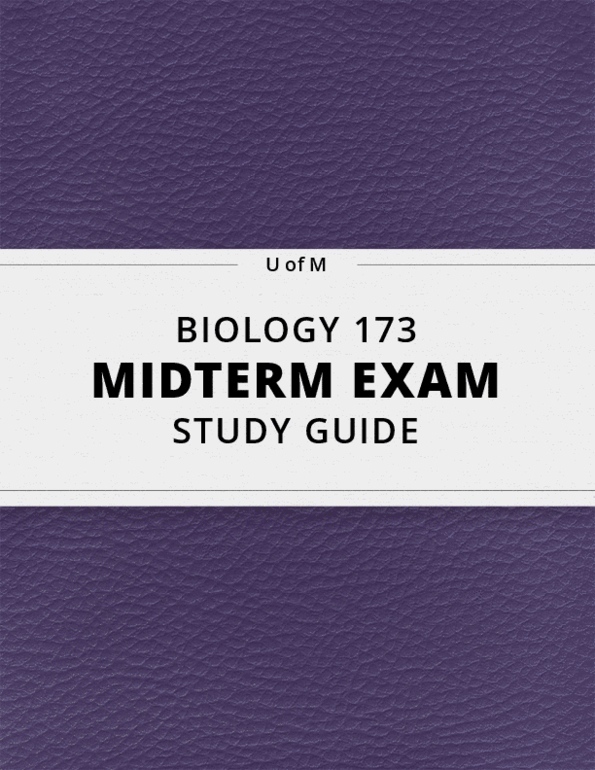 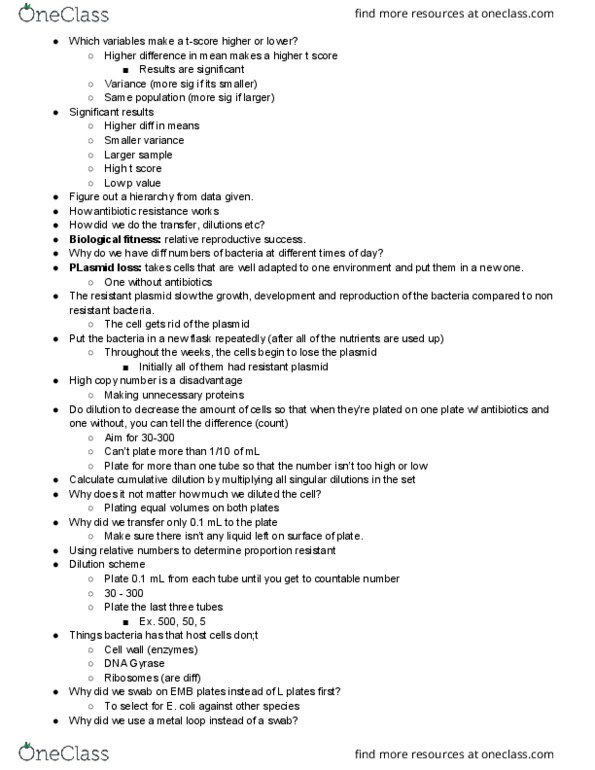 [BIOLOGY 173] - Midterm Exam Guide - Ultimate 18 pages long Study Guide! 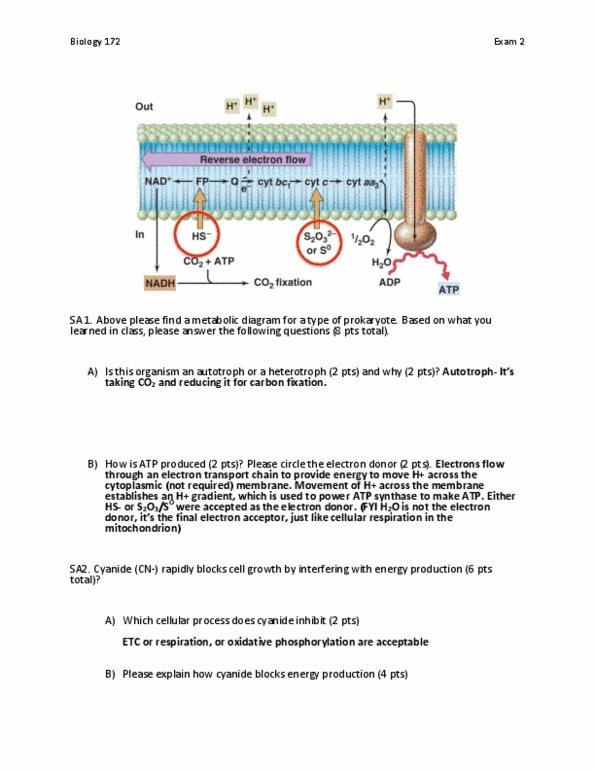 Bind to substrate and stabilize reaction intermediate. 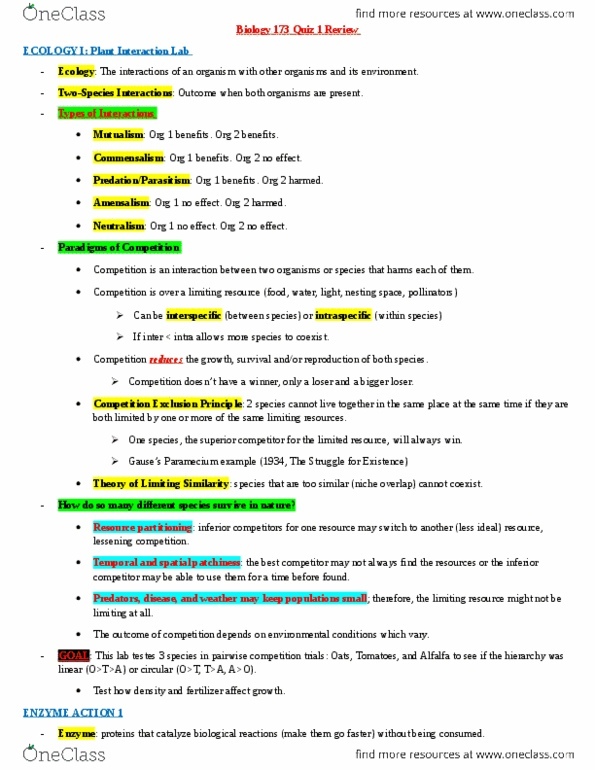 1 both enzyme-substrate, 1 enzyme, 1 substrate. 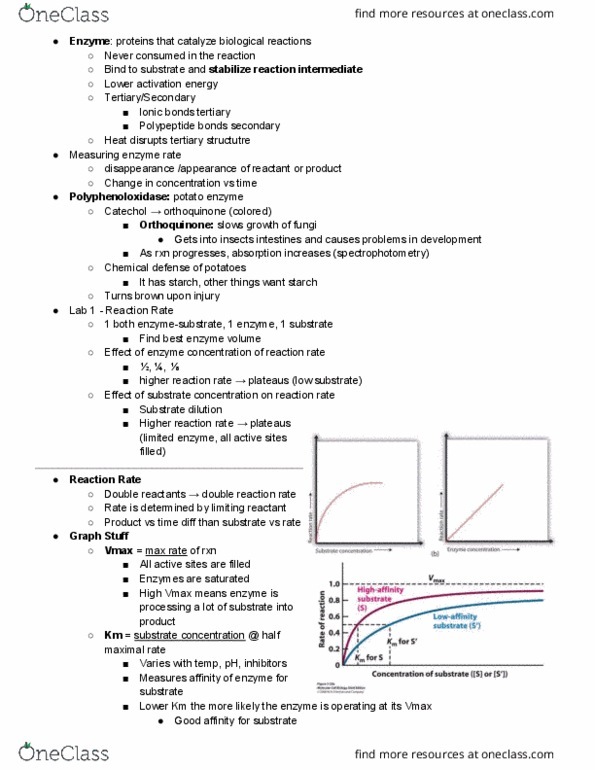 Effect of enzyme concentration of reaction rate.